Tomah Sparta Raceway -Friday June 30th! Thunder in the Valley brings racing, fun, fire and fireworks. TSR proudly welcomes the American Super Cup Series back for Super Cup racing action. Last year we had a flame throwing car by Miscellaneous Mischief...this year we will have 2 flame throwing cars to kick off our fan favorite fireworks sponsored by Victory Fireworks, Inc. of Tomah. All of that, plus all the great racing action of TSR race divisions. Gates open at 4pm and racing action begins at 7:30pm. Flame throwing cars and fireworks show will begin right after the final feature race. Admissions for this event: $10 Adult, $8 Veteran/Military/Emergency Services/Seniors, $5 Students (6-17) and Kids 5 and under are always FREE. See you at the track!!! 2017 Season Opener is in the Books! Thank you Mother Nature and Slinger Speedway. What a great way to open the season with excellent weather conditions and sunny skies. American Super Cup Racing Series took to the high banks ¼ mile oval for our 18th traditional opening race and Slinger Speedway 70th opening weekend. Practice was a little bit of a rough start. For many drivers it was the first time on the track this year. Drivers had new set ups and new tires. Just before we took to the track another class dumped oil on the track resulting in a lot of oil dry on the track. Although there were no incidents most drivers were able to get in a few decent laps. Qualifying saw Brian Baldega grab the fast time followed by Mick Ellis and Amanda Bohn for the pole points. In first heat race, Chris Deren led the cars to the green flag. Chris was a little nervous having made only a few races in 2016, he started the heat race very strong. Brandon Mennicke was on the outside pole but he slid up the track which opened the door for drivers to move past. First to take advantage was Amanda followed by Brian, Mick and Chris. Drivers battled in a tight pack for most of the race. Chris was eventually passed by the pack and spun by himself with no damage. The top five were Amanda, Brian, Mick, Brandon and Chris. In second heat race the drivers were led to the green by last year’s rookie of the year runner up Jessica Talley, to her outside was another sophomore driver Jim Irish. It took two starts to keep the field bunched together. Finally they got the green and Jim Irish took the lead for a few laps. Constant pressure from Tony Rendina and Tony slid under Jim to take the lead and win. Tony was followed by Jim, Jessica and 2017 ASCS Rookie of the Year Contender Matt Rose and Michael Rose. Both Matt and Michael have spent many hours preparing for this season and really looked good. In the feature race Chris and Brandon led the field in a nice pack of cars to the green flag. The 20 lap feature race featured the top 8 cars battling hard for position. As the shuffling continued Brian and Tony were able to work their way into the front separating slightly from the rest of the field as they continued to jockey for position. To the delight of the crowd the cars put on a great race, Brian captured the 1st checkered flag of the season followed by Tony, Amanda and Chris. Rounding out the top five was hard charging Jessica who set the fast lap of the race at a sub 15 seconds. Huge shout out to Ultimate Motorsports for taking care of the series with products, services and advise. As usual a few tweaks were needed on the cars and Ultimate was there to assist. Ultimate has all the Super Cup Parts that you need to keep you on the track. Thanks for another year of sponsorship. For all your Super Cup needs www.UltimateMotorSports.com. All the cars passed safety and performance inspection this week – way to be prepared drivers. What a great way to start the season with beautiful weather, nice crowd and clean close racing. Awesome job by all! Can’t wait for the next race. Our next race is Saturday at Rockford Speedway May 13, 2017 at 7:07 Please check out our website for pictures and information. www.AmericanSuperCups.com . See you at the track!2017 Season is underway - UP NEXT! This Saturday July 8, Pepsi presents '$5 Fan Appreciation Night,' where all admission is just $5! You'll get your money's worth Saturday night, with the return of the American Super Cups Racing Series and the "monsters of the schoolyard" as School Bus Racing returns to Rockford Speedway! 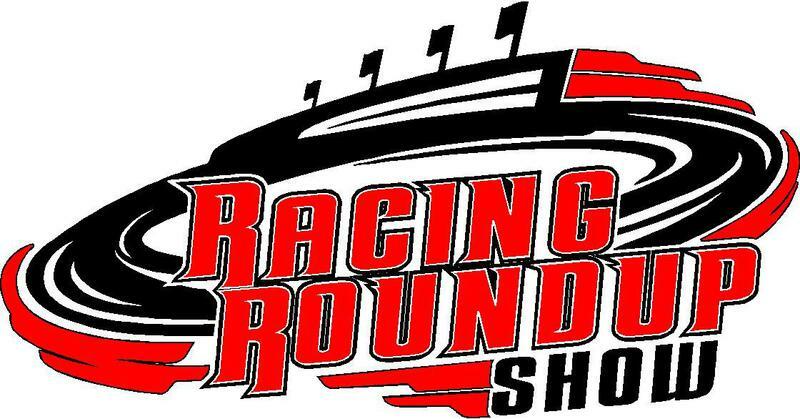 Joining are the Bargain Hunter Sportsman, Kickstart Roadrunners, Illini Racing Series Midgets. Along with $5 admission, School Bus Racing and great short track racing action, fans also have a chance to win one of several prizes courtesy of our friends at Pepsi...ranging from T Shirts and Hats to Gift Cards to area dining establishments. PLUS there will be a Hogwash Kids Mini Grand Prix and more surprises along the way! Gates open Saturday night at 5 PM, with racing set start at 7:07 PM. It's a lot of entertainment...for five bucks! $5 Fan Appreciation Night this Saturday July 8 at Rockford Speedway! There were many winners on the race track as well as in the near capacity grandstands, at Rockford Speedway, on Saturday July 8th, during the “$5 Fan Appreciation Night”, presented by Pepsi. Opening the night’s main events, Brian Baldyga was the American Super Cup series winner on the near perfect summer evening, fans young and old, enjoyed their favorite refreshing Pepsi family beverages of choice, while countless scored various prizes and giveaways offered! After running many of the closing laps right behind race long leader Jessica Talley; Brian Baldyga was the winner of the American Super Cup Racing Series event. While the cars are small in size, the action at the front of the feature was huge. Talley survived a green flag three-wide skirmish, which resulted in a first lap yellow, to lead the early part of the event by a large margin. Mick Ellis and Baldyga, respectively, soon shrank Jessica’s advantage. The three ran nose to tail, before Ellis tried a mid-race big pass for the top spot. His low line attempt fell short, opening the door for Baldyga to reach up and grab the runner-up spot. The trio clicked off the remaining circuits, in that order, much like a freight train. Talley only appeared to veer off the racing line, when possibly making attempts to catch a draft off the slower cars. Her car seemed to break lose in turn two in the waning laps though, and it was a tall order for Talley to keep the lead. Baldyga found a way around the outside of her, just before the one-to-go signal was displayed. Talley stepped it up on the white flag lap, but ended up a little behind the 63-year old Baldyga at the finish line. Ellis claimed the third step on the “podium”. Rounding out the top five were David Cerer who recovered nicely after an early spin when drivers checked up and Matt Rose. Matt also earned his first heat race in the Super Cup truck. More information on the event we be posted soon. Next race is back at the high banks of Slinger Speedway on July 30th.